You have justified murder in the eyes of your readership. If your landlord is slow on calling the exterminator, or a leaky ceiling after a snow storm, it is okay to want him dead and act upon it. It is justifiable. Warranted. Completely understandable. 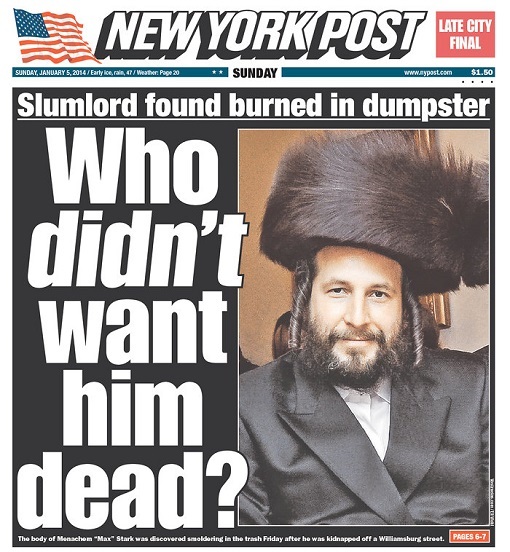 Here is a man who was brutally murdered, and yet with no evidence whatsoever but innuendo alone you have declared Mr. Stark and thousands of other landlords like him, as perfectly justifiable candidates – for their lives to be snuffed out. Your words are borderline incitement to murder. Yes, murder. Brooklyn Borough President Eric Adams is scheduled to lead a 3 p.m. protest press conference. 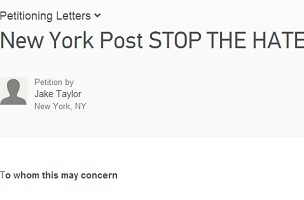 There is also a petition on Change.org from New York resident Jake Taylor. At press time, it had received more than 2,000 signatures.